During the Colonial era, technology had not much developed. People used to survive the hard way and life had to move on. But over time, man had to evolve physically, mentally and in Technology. Our Scientists and Engineers had to have sleepless night and dying at an early age to ensure the survival of the generations to come. In the transport sector specifically bus sector, technology was not much trusted by our bosses. They much trusted the analog way of handling things and this made them the best bankers of their own money and companies. Not even a penny could go unaccounted for by the boss. But now we at the dot com generation where everything is digitalised, the power of technology is right in our fingertips. 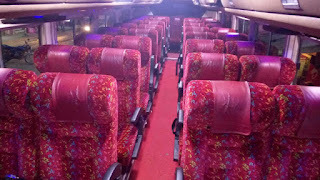 One need not to visit a bus company to make bookings, check on available seats and furthermore pay at the counter, with now Safaricom Lipa na Mpesa, its like Magic. For the Bus Companies that still haven't migrated digitally, i urge the bosses and managers to embrace technology wholeheartedly. This is the dot com generation, we rely on Technology. For Bus Companies with online booking and not included in the list, please feel free to drop them in the comment section and the list will be updated. Bus Kenya, We Will Take You There..